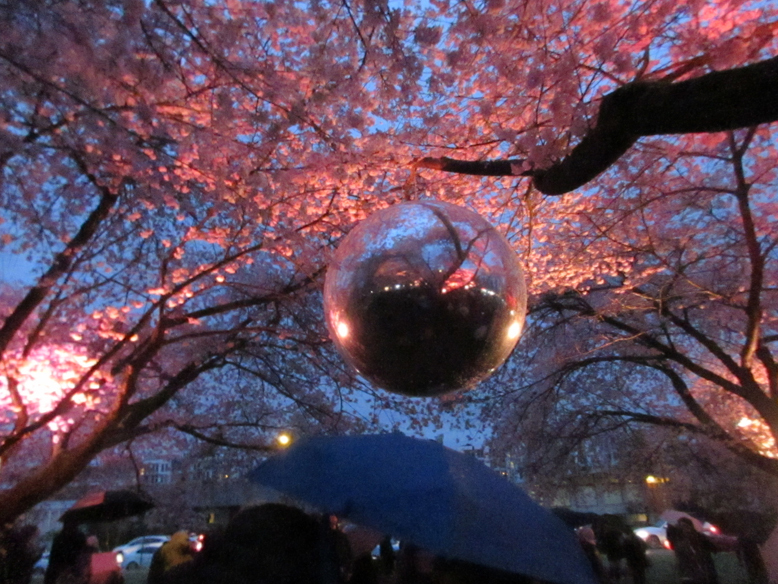 It was a magical evening as Hfour illuminated Queen Elizabeth Park cherry trees for Spring Lights Illumination. Lights were projected on the canopy, lanterns were glowing, and giant mirror balls reflected the blossoms. Interpretative dancers performed under the lit up trees. A walkthrough experience allowed visitors to move from under the canopy to various pathways. The pathways lead you back to the canopy where you could enjoy more illuminations. Check the Vancouver Cherry Blossom Festival website to see more information about events and activities.